Cameron Norman: "I'm Absolutely Buzzing"
Following the news that he had joined the club on a two-and-a-half year deal, former Oxford United right-back Cameron Norman has spoken to club journalists and welcomed the opportunity to make the switch to Banks's Stadium. 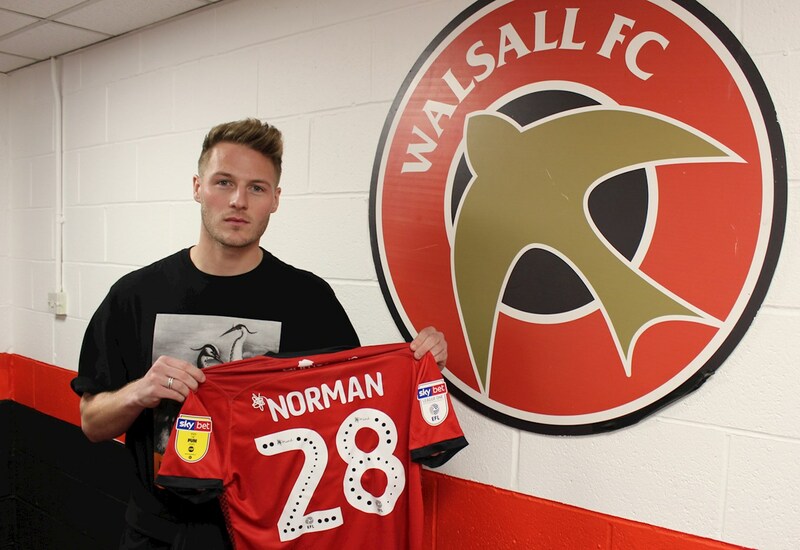 23-year-old Norman, who began his career with hometown club Norwich City, became the Saddlers' second defensive signing in two days as he joined Forest Green Rovers left-back Scott Laird at the club, and is keen to hit the ground running, with a potential debut coming away to Gillingham this weekend. Speaking via the club's official website - Saddlers.co.uk - Cameron said; "I’m absolutely buzzing. I’m predominantly a right-back but I love to get forward just as much as I love defending. You can expect to see me flying down the right-hand side. "The manager has told me to play freely and make sure I know my roles and responsibilities. I want to contribute to the team, whether that is going forward and getting crosses in or defending and keeping those all-important clean sheets. "I’m a defender first and foremost so a clean sheet is something I will be striving for. I want to be successful with Walsall and bring success to both the club and myself, which will hopefully come hand in hand."